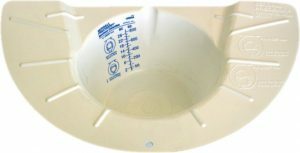 BP3 – A “perfection” style bedpan. 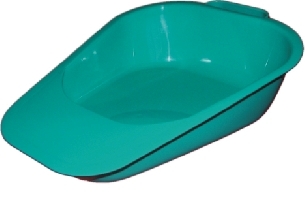 A general use bedpan for patients up to 200kg, it has a 3 litre capacity and includes a handle for easy transportation. 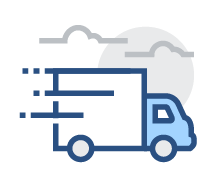 This product is manufactured from autoclavable blue polypropylene. 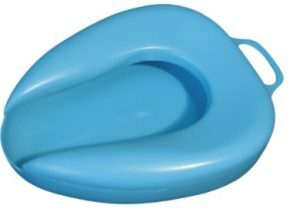 UF2 – A slipper-shaped bedpan with a 1000ml capacity designed with a flat front for easy positioning, particularly where patients are immobile. This product is manufactured from autoclavable green polypropylene. UFSS1 – A slipper-shaped 1000ml capacity female bedpan with an easy pour spout and stopper, which allows easier sample collection. 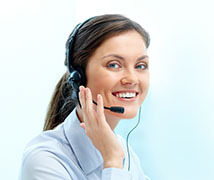 This product is manufactured from natural-coloured polyethylene. It can be cleaned in a washer/disinfector where temperatures do not exceed 90°C. SP1 – St Peters Boat is a urinal suitable for sample collection, as it includes internal graduations for easy measurement. 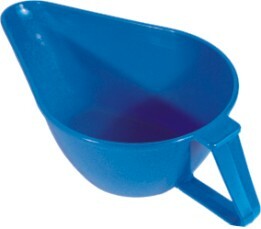 Made from autoclavable blue polypropylene. 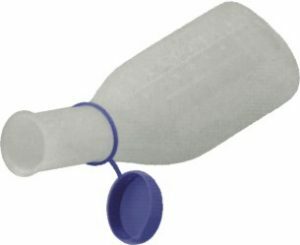 UF1000 – A female “cygnet” style urinal suitable for sample collection, as it includes graduations for easy measurement. This product is manufactured from natural-coloured polyethylene. 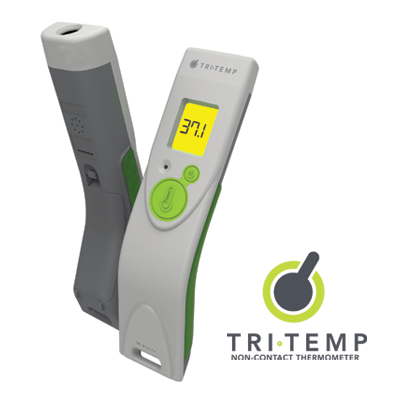 It can be cleaned in a washer/disinfector where temperatures do not exceed 90°C. 495PP – A male urinal with a cap for easy transportation. 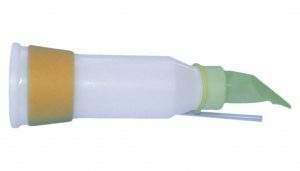 This product has graduated external marking to its 1000ml capacity and is manufactured from natural-coloured polyethylene. It can be cleaned in a washer/disinfector where temperatures do not exceed 90°C. NSA1 – The 495PP Male Urinal can be used with our non-spill adaptor (NSA1), a unique product that incorporates a silicon teat one-way valve designed to help improve patient confidence and prevent spillage in use. Supplied with spare rubber teat. UMH20 – Wire Males Urinal holders which easily attach to the side of the bed, can also be used for the 495PP Male Urinal. 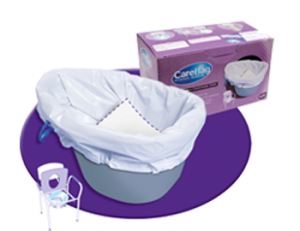 7733993 – Using the cost effective, disposable CareBag® Men’s Urinal with Super Absorbent GelMax® Pad reduces the risk of contact and environmental contamination. 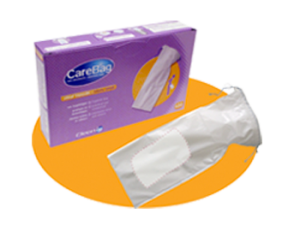 The unique Super Absorbent GelMax® Pad transitions up to 16 oz (450 ml) of urine to gel in seconds. By slowing down the urea decay process and reducing air oxidation, the gel significantly reduces unpleasant odours and decreases the risk of contact exposure. 2400SA – Dover commode specimen collection unit is designed for the collection of urine and stool samples or kidney stones. It has a wide lip and clearly marked gradients. It holds approx 26oz (766ml). 7831738 – The single-use CareBag® Commode Liner with Super Absorbent Pad is designed to safely collect, transport, and dispose of body fluids, thus avoiding unpleasant hand cleaning of the pail. The super absorbent pad turns liquid waste (urine, diarrhea, blood, serous fluid) into a gel within seconds. 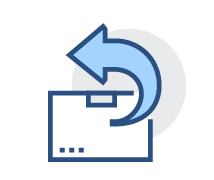 When used to line the commode, both the user and caregiver are protected from the spread of pathogenic organisms by direct or indirect contact, thus minimising risk of cross infection.